Rectory Farm is the perfect location for exploring the North York Moors and Yorkshire Coast, as well as the Vale of York. 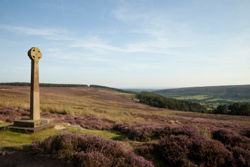 North York Moors National Park is one of the finest landscapes in the country with its wonderful mix of moorland, dales and dramatic coastline. Experience the wide horizons of the moors, wander through idyllic woods, saunter in picturesque villages, throw pebbles in a stream or build sandcastles on the beach. Catch the MOORS BUS - a network of bus services to help you explore more of the North York Moors without your car. Every Sunday and Bank Holiday from April to the end of October with a daily service between July and September. 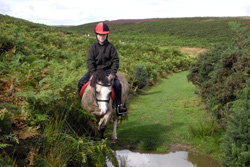 Offers 8000 acres of woodland to explore and enjoy, including play areas for children. Waymarked trails for all abilities. 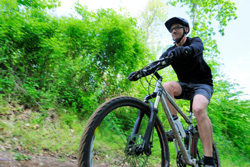 Cycling visitors wanting to burn off some energy can use the 55km of traffic free trails and facilities for all grades, wide and gentle for the novice; through to the red route and black runs. Dixons Hollow Jump Park and North Shore for those who want to get airborne and play. Bike hire is available from Dalby Bike Barn. If you like to be airborne and would like your excitement off the ground, try Go Ape’s adventure course, with high ropes and zip wires up amongst the trees. Visit www.goape.co.uk. If relaxing is more your thing there’s always a quiet corner to watch the wildlife and take in the fresh air and scenery. 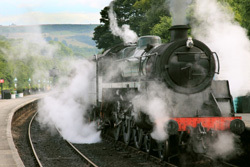 18 miles of single track line between Pickering and Grosmont with through services to Whitby on selected trains. Additional stations of Goathland (“Aidensfield" from ITV’s Heartbeat) and Hogsmeade in the first Harry Potter Film”. Newtondale Halt - request the guard to stop at this tiny picturesque halt. It is the perfect place to start your walk and look for some magnificent wildlife. Levisham, our local station is modelled on a 1912 style station. Pickering is a 1952 station and Grosmont 1952 style station. There is a full diary of events - Spring steam gala, swinging sixties, Vintage vehicle weekend, Heritage Diesel Gala, Autumn Steam, Railway in Wartime and Santa Specials. Magnificent 18th century house situated in 1,000 acres of breathtaking parkland, with temples, statues, lakes and fountains. Visit and discover the stories of the house, family and collections. Discover seasonal colours in the woodland and walled gardens. Children can enjoy the adventure playground. Built in 1713 above Helmsley castle and the River Rye valley. The interior is a fine example of the grand interior popular at the end of the 19th century. The surrounding 35 acres of 18th century landscaped green gardens include terraces, temples and woodlands. A very special place for a country house cream tea, a brisk walk in the deer park. Breathtaking landscape with a warm welcome something for everyone. Delightfully Informal and relaxing. Pickering is an historic market town and the gateway to the North York Moors National Park. An attractive market town with its castle, medieval wall paintings in the church of St Peter and St Paul and the Beck Isle Museum of Rural lLife. It’s also the southern terminal of the North Yorkshire Moors Railway. 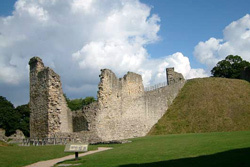 Helmsley is on the road from Thirsk to Scarborough at the western end of the Vale of Pickering. 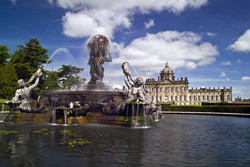 Wander round the castle with its new visitors centre or the house and gardens at Duncombe Park. 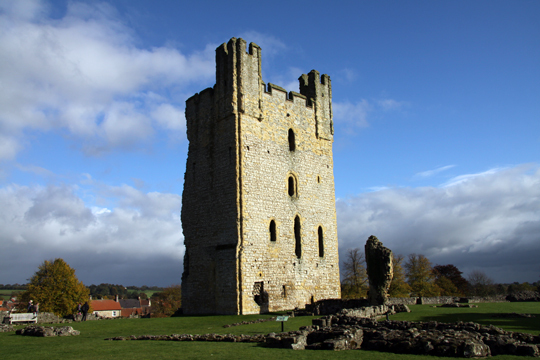 Helmsley offers a welcome stop for quality shopping, refreshments and a well-earned rest. York is one of the great medieval walled cities of the world. It is 40 minutes away by car (approximately). A day can easily be spent viewing the sights, including the City Walls and York Minster, the Jorvik Viking Centre, York Castle Museum and the National Railway Museum. 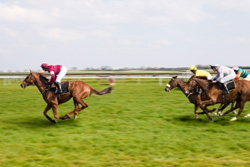 There are also plenty of opportunities for shopping and a great designer outlet. 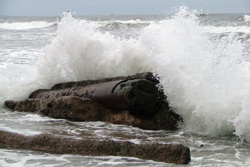 The fascinating town of Whitby is a delightful fishing port and holiday resort. 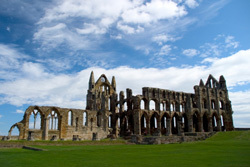 Famous for its spectacular ruined Abbey, on the cliff top overlooking the town, and its sea fairing traditions – whaling, Captain James Cook, the Endeavour, and of course fish and chips. Enjoy a wander through the narrow streets and alleys that lead to the Quayside. 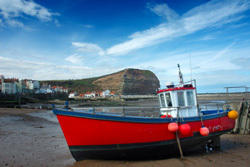 From the picturesque fishing village of Staithes in the North to Speeton Cliffs in the south, this is a stunning stretch of coast. 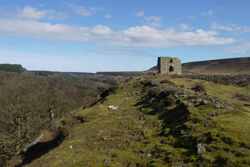 The northern section is typified by the high cliffs where the North York Moors reach the sea. 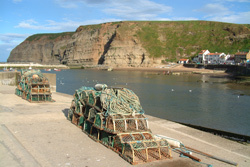 Villages include Staithes (with its associations with Captain James Cook), Port Mulgrave and Runswick Bay (a good place for fossil hunting). From Lythe down into Sandsend, and a gentle walk along the sandy beach into Whitby - details above. 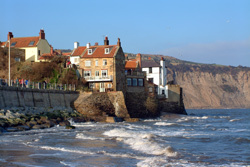 From Whitby down the coast to Robin Hood’s Bay, a village of red roofed cottages huddled down a steep ravine to the sea. Beyond is Ravenscar with a popular walk along the disused railway line. South from here to the seaside resort of Scarborough. A unique museum featuring the sights, sounds and smells of life during the World War 2, this museum is very detailed and can easily take all day to enjoy. A great day out for all the family. Three acres of rescued and restored historic buildings forming an open air museum near Kirbymoorside. One of the finest” local” museums in Yorkshire. Nunnington Hall, Rievaulx Terrace and Temples are all nearby. 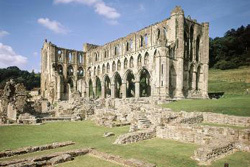 Rievaulx Abbey, Helmsley Castle, Byland Abbey, Pickering Castle, Scarborough Castle and Whitby Abbey are all nearby. We have several prints on the walls by Christopher Ware the Artist in residence on the North Yorks Moors Railway. Christopher has a studio at Levisham Station and offers painting lessons for locals or visitors.